For newcomers to the World Happiness Report (WHR), this landmark annual survey measured since 2012 (except for 2014) marks the state of global happiness by ranking 156 countries according to their happiness and well-being levels. Six key variables – GDP per capita, social support, healthy life expectancy, freedom, generosity, and absence of corruption – explain the variation of happiness across countries. Global happiness has been measured by the United Nations Sustainable Development Solutions Network as it relates to policy development, and is used in part to assess the progress of nations. 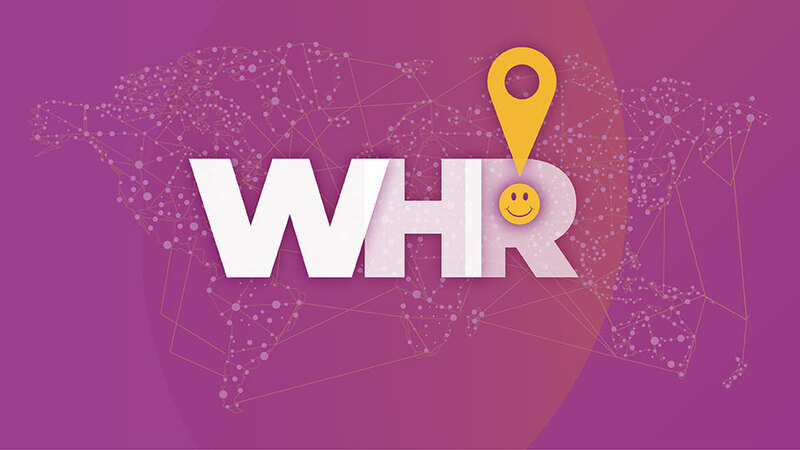 While the 2018 WHR report examined immigration, the 2019 report focuses on happiness and the community. As the world changes rapidly, communication and interaction between people – whether in their schools and workplaces, their neighborhoods, or in far-flung places – provided important insights for the 2019 report. Broad international differences in life evaluations are driven by the differences in how people connect with each other, with their shared institutions and through social norms. As populations diversify and change, the report is a good read about important world issues that continue to shift, evolve and reshuffle. Download the complete report here. Illustration: © 2019 Janet Giampietro.